Christina peters is part of Flameworks and will be running Raku Firing and glazing on Sunday 18th October at the Royal William Yard. Originally from Hannover, in Germany, Christina has many years' experience as a special needs teacher, with a focus on art. 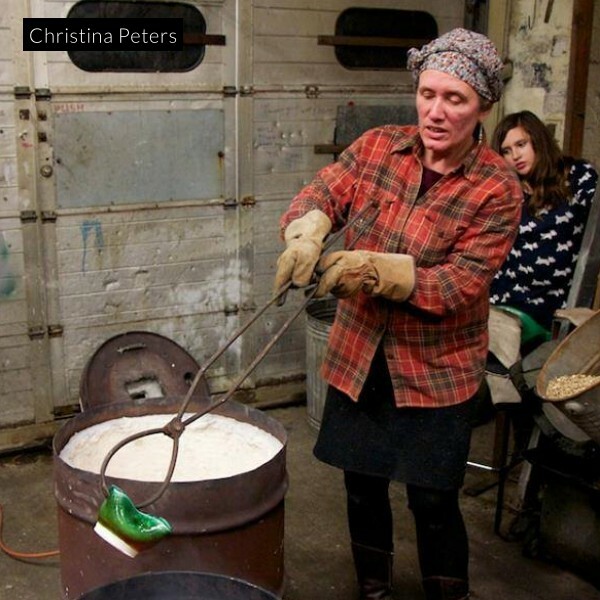 Having completed courses in ceramics at Goldsmiths College, London, and Plymouth College of Art, Christina began to combine her studio practice as a potter with teaching pupils at all levels, including adults with learning difficulties and other disabilities and working with local schools. As a director of Flameworks, Christina is working hard to develop an education programme and offer. She is also helping us develop our education room and open access ceramics area.